Acesion Pharma ApS is a Danish biotech company founded in 2011 and based in Copenhagen. Acesion Pharma develops more efficacious and safe drugs for the treatment of atrial fibrillation (AF), the most common type of cardiac arrhythmia. Existing drug therapies generally have a limited effect or are associated with risk of serious adverse events, and there is therefore a considerable patient need for developing better and safer drugs. Inhibition of SK channels, an ion channel with relevance for regulating the heart rhythm, constitute a new and promising principle for the treatment of AF. Acesion Pharma aims to develop first-in-class SK channel inhibitors as a more efficacious and safe treatment of AF. Equity investors in Acesion Pharma are Novo A/S, Broadview Ventures, SEED Capital and Wellcome Trust. In 2013 Acesion Pharma received 27.9 million DKK (3.7 million EUR) as a Seeding Drug Discovery Award from the Wellcome Trust to fund the development of a novel drug for the acute treatment of AF. Addex Therapeutics is pioneering discovery and development of an emerging class of oral small molecule drugs, called allosteric modulators, which can be exquisitely selective for their intended target and confer significant therapeutic advantages over conventional “orthosteric” small molecule or biological drugs. The Company uses its proprietary discovery platform to address receptors and other proteins that have been undruggable for conventional drug discovery methods, including G-Protein Coupled Receptors (GPCRs), receptor tyrosine kinases (RTKs) and cytokine receptors, such as the TNF receptor superfamily. Many such targets have been widely recognized as attractive for modulation of important diseases with unmet medical needs, but have remained inaccessible to small molecule drug discovery. AFFiRiS develops first-in-class antigen specific vaccines for the prevention and treatment of chronic illnesses. Our proprietary AFFITOME®-Technology delivers peptides that are optimized to mimic a target specific epitope, thereby inducing an antibody response that is cross-reactive to the original target. Our indications include Neurodegenerative illnesses such as Parkinson's disease, MSA and Huntington's disease, Cardiometabolic illnesses such as Atherosclerosis and Diabetes Type II and Allergic illnesses such as Atopic dermatitis, Allergic rhinitis and Asthma. AIMM therapeutics B.V. was established in 2004 with the goal to develop therapeutic and prophylactic human monoclonal antibodies. AIMM’s capitalizes on a breakthrough proprietary technology to isolate human monoclonal antibodies for prevention and treatment of infectious diseases, inflammatory diseases and cancer. AIMM employs a team of 20 scientists and research technicians. Amryt is a commercial stage pharmaceutical company, focused on developing and delivering innovative new treatments to help improve the lives of patients with rare or orphan diseases. The Company is building a diversified portfolio of commercially attractive, best-in-class, proprietary new drugs to address some of these rare and debilitating illnesses. Since the company's foundation in 2005, the Apogenix team has developed a promising portfolio of innovative immuno-oncology therapeutics for the treatment of cancer and other malignant diseases. These protein therapeutics target critical pathways involved in the proliferation, migration, and apoptosis of diseased cells and have the potential to transform the treatment of oncological and malignant hematological diseases. ArmaGen is a privately held, clinical stage biotechnology company focused on developing revolutionary therapies for severe neurological disorders. The company is advancing innovative therapies for the treatment of currently unaddressed neurological complications of lysosomal storage disorders (LSDs), as well as neurodegenerative diseases such as Alzheimer’s and Parkinson’s. Because most medications are unable to penetrate the blood-brain barrier (BBB), there is a clear unmet medical need to treat neurological complications of many diseases, including LSDs and neurodegenerative diseases. ArmaGen’s pipeline is based on decades of scientific leadership in engineering therapies to non-invasively penetrate the BBB, resulting in a unique and dominant intellectual property portfolio. AYOXXA Biosystems, an international biotech company based in Cologne (Germany), Boston (USA) and Singapore, has developed LUNARIS™, an innovative technology that enables multiplex protein analysis of precious, small-volume specimens. This powerful system uses antibody-coated microbeads securely captured on the surface of proprietary BioChips and requires only 3 µL of input sample. LUNARIS™ offers a reliable, precise and accurate immunoassay for multiple biomarkers for both basic and clinical research. Focus areas for this technology include, but are not limited to ophthalmology, mouse-to-man studies and immunooncology. Biognosys believes that the decoding of the proteome will impact the life sciences more than the genome revolution a decade ago. Biognosys’ next generation technology quantifies proteins with unbeatable precision and depth. Our solution relies on mass spectrometry, which allows simultaneous quantification of thousands of proteins in a single experiment. This new generation protein quantification technology is available to researchers worldwide through our contract research services or our portfolio of innovative reagent and software products. Cantargia is developing an antibody against the IL1RAP target molecule for cancer treatment. Preclinical data indicate that the antibody has the potential to be used for treatment of several forms of cancer. Cantargia will be focusing the initial development activities on non-small cell lung cancer (NSCLC) and pancreatic cancer. 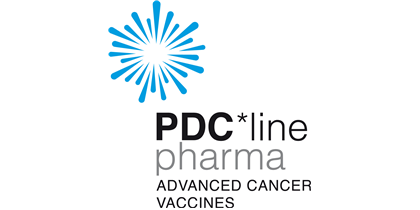 A product candidate CAN04 has been selected and a clinical phase I/IIa study in these cancers will be initiated in late 2016. The goal is to develop a new treatment for future cancer therapies. Complix is a biopharmaceutical company developing Alphabodies, a unique class of transformative protein therapeutics. The Company is currently focusing its internal research and development activities on oncology and autoimmune diseases. Complix’ goal is to use its unique biotherapeutics platform to change the face of drug development. This will achieved by designing Alphabodies that can access a broad universe of well-known but currently undruggable targets. At present 80% of known disease targets, many of which are intracellular protein-protein interactions (PPIs), cannot be addressed by current drug formats, such as antibodies or small chemical drugs. ​eTheRNA immunotherapies' mission is to help patients to overcome certain cancers and infectious diseases by developing novel immunotherapies that target the fundamental role of dendritic cells in the human immune system. eTheRNA’s proprietary mRNA-based TriMix technology boosts dendritic cells leading to a more comprehensive, sustainable and safer enhancement of the patient’s immune system than any other similar approach investigated until now. Exogenus Therapeutics (Exo-T) is a biotechnology company dedicated to pre-clinical and clinical development of advanced therapies for skin lesions. Exo-T envisage becoming a company of reference for the use of exosomes as a treatment tool for wound healing. The company is presently developing its first product, Exo-Wound, for the treatment of chronic wounds, which affect millions of people worldwide. Gadeta B.V. is a Research & Development company established in 2015 which focusses on the development of innovative immunotherapies for cancer. The work of the company is based on the groundbreaking discoveries regarding the role of γδ T cell receptors (TCRs) in the broad recognition of both hematological and solid tumor cells and their potential use for the treatment of advanced malignancies as discovered by Prof. Dr. Jürgen Kuball, CSO Gadeta, at the University Medical Centre Utrecht (UMCU), The Netherlands. The Gadeta office and laboratory is located in the Bio Incubator next to the UMCU and collaborates with top-tier international scientists to achieve its goals. GeNeuro is a clinical stage pharmaceutical company developing a new approach to the treatment of autoimmune diseases, including multiple sclerosis (MS) and other diseases associated with human endogenous retroviruses (HERV). GeNeuro is developing a new approach for the treatment of MS by seeking to block a suspected source of the inflammatory and neurodegenerative components of the disease, rather than targeting the immune response of the body as do most current treatments. GI Dynamics®, Inc. (ASX:GID), is the developer of EndoBarrier®, the first endoscopically-delivered device approved for the treatment of type 2 diabetes and obesity. EndoBarrier is not approved for sale in the United States and is limited by federal law to investigational use only in the United States. Founded in 2003, GI Dynamics is headquartered in Boston, Massachusetts. Heidelberg Pharma is the first company to develop the toxin Amanitin into cancer therapies using its proprietary Antibody Targeted Amanitin Conjugate (ATAC) technology. This proprietary technology platform is being applied to develop the company’s own therapeutic ATACs as well as in third-party ADC collaborations to create more effective and specific anti-cancer drugs. In addition, Heidelberg Pharma offers preclinical services with a focus on explorative pharmacology in oncology, autoimmunity and inflammation along with bioanalytical methods. Heptares is a clinical-stage company creating novel medicines targeting G protein-coupled receptors (GPCRs), a superfamily of receptors linked to a wide range of human diseases. Our proprietary StaR® technology and structure-based drug design (SBDD) capabilities are enabling us to build an exciting pipeline of new medicines with potential to transform the treatment of Alzheimer’s disease, schizophrenia, cancer, migraine, metabolic disease, and other indications. Our ability to address highly validated, yet historically undruggable, GPCRs has also attracted multiple pipeline and technology partners including Allergan, AstraZeneca, Daiichi Sankyo, Kymab, Morphosys, Pfizer and Teva. Heptares is a wholly owned subsidiary of Sosei Group Corporation. Immunicum AB (First North Premier: IMMU.ST) is a clinical stage company developing novel immuno-oncology therapies against a range of solid tumors. The Company’s lead compound, INTUVAX® is currently being evaluated in clinical trials for the treatment of kidney cancer, liver cancer and gastrointestinal stromal tumors. INTUVAX® was designed to combine the best of two worlds: a cost-effective cell-based (allogeneic) and off-the-shelf therapy that is capable of triggering a highly personalized and potentially long-lasting immune response against tumor cells throughout the body. Lung Therapeutics pursues innovative treatments for underserved, life-threatening lung conditions. Our therapies for Idiopathic Pulmonary Fibrosis and Loculated Pleural Effusion bring hope to patients whose only treatment options may be invasive surgery or costly and ineffective drugs. We aim to create better pharmaceutical treatment options for IPF, LPE, and other underserved lung conditions. MOLOGEN AG is a biotechnology company specializing in the research and clinical development of innovative drugs in the fields of oncology and infectious diseases. Our most important developments to date are the DNA immunomodulator MGN1703, which we are currently subjecting to clinical trials in the treatment of colorectal cancer and small-cell lung cancer. Furthermore our cell-based cancer therapy MGN1601 for the treatment of renal cancer, which is also a highly promising product, is currently undergoing clinical development as well. Nanobiotix is a late stage clinical company pioneering nanomedicine for more than a decade. We intend to significantly change the outcomes for cancer patients following a different path than other Pharma or Biotech companies: a new way to treat patients thanks to nanophysics at the heart of the cell. 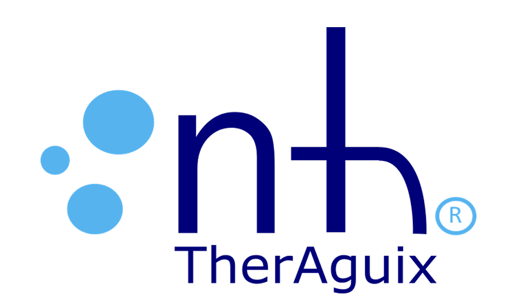 NH TherAguix is a clinical stage pharmaceutical company developing innovative nanomedicine that improve radiation therapy benefits without modifying current clinical workflows. Our leading product, AGuIX®, is a nanoparticle designed to improve the localization of solid tumors and the outcomes of radiation therapy by a unique intravenous injection. Oxford BioMedica plc (LSE: OXB) is a biopharmaceutical company developing innovative gene-based medicines and therapeutic vaccines that aim to improve the lives of patients with high unmet medical needs. Our technology platforms include a highly efficient LentiVector® gene delivery system, which has specific advantages for targeting diseases of the central nervous system and the eye; and a unique tumour antigen (5T4), which is an ideal target for anti-cancer therapy. Through in-house and collaborative research, we have a broad pipeline with current partners and licensees including Sanofi, Pfizer, Novartis, GlaxoSmithKline, MolMed, Sigma-Aldrich, Biogen Idec, Emergent BioSolutions and ImaginAb and Immune Design Corp.
Philogen is a Swiss-Italian integrated biotechnology company founded in 1996, with the mission to develop innovative biopharmaceuticals for the treatment of angiogenesis-related disorders. Angiogenesis, i.e. the formation of new blood vessels, is a characteristic feature of many severe pathologies such as cancer, rheumatoid arthritis and age-related macular degeneration. The company has been a pioneer in the isolation, engineering and clinical development of lead products capable of targeting angiogenesis in-vivo and has been the first in the world to demonstrate that human monoclonal antibodies, specific for a marker of angiogenesis, can efficiently and selectively target the tumor neo-vasculature both in animal models and in cancer patients. Silence Therapeutics is a leading RNA therapeutics company. Its technology can selectively silence or replace the expression of any gene in the genome, modulating expression up as well as down in a variety of organs and cell types, in vivo. This allows the development of therapeutics for diseases with high unmet clinical need. Silence has developed proprietary modifications to improve the robustness of RNA sequences together with advanced liposomal chemistries to enhance the delivery of its therapeutics. Formed in 2010, Synaffix BV is a Netherlands-based biotechnology company exclusively focused on continued advancement of our best-in-class antibody-drug conjugate (ADC) technology platform. As a leading innovator in the field of ADCs offering absolute versatility and state-of-the-art solutions, our vision is to become the preferred partner in the development of these complex biological therapeutics and realize our ambition – connect to cure. ThromboGenics is a biopharmaceutical company developing innovative treatments for retinal disorders, with a focus on diabetic eye disease. The company’s first commercial product, JETREA® (ocriplasmin), has been approved for treatment of sVMA/VMT in 54 countries worldwide, with patients being treated in 20 countries. ThromboGenics owns global rights to JETREA. ThromboGenics is headquartered in Leuven, Belgium, and is listed on the NYSE Euronext Brussels exchange under the symbol THR. TxCell is a biotechnology company that develops platforms for innovative, personalized T cell immunotherapies for the treatment of severe inflammatory and autoimmune diseases with high unmet medical need. TxCell is the only clinical-stage cellular therapy company fully dedicated to the science of regulatory T lymphocytes (Tregs). VAXIMM is a privately held, clinical stage, Swiss/German biotech company developing oral T-cell immunotherapies for patients suffering from cancer. VAXIMM’s technology is based on first-in-class oral T-cell activators using modified attenuated bacteria that can be readily adapted to target a wide range of cancer-related antigens. The Company’s lead product candidate, oral VXM01, currently in clinical trials, activates killer T-cells targeting tumor vasculature and certain immune-suppressive cells and causes increased inflammation in solid tumors. AbilityPharma is a clinical-stage biopharmaceutical company focused on developing first-in-class causing autophagy molecules by the overexpression of Tribbles pseudokinase 3 (TRIB3) to treat multiple aggressive cancers. Overexpression of TRIB3 to inhibit the PI3K/Akt/mTOR pathway represents a novel approach, offering an opportunity to create important new therapeutic options for cancer patients. Adrenomed AG is a privately-financed biopharmaceutical company with a clear mission: to improve vascular integrity in order to improve survival. Adrenomed was established in 2009 by Dr. Bernd Wegener and Dr. Andreas Bergmann, co-founders & former executive managers of BRAHMS AG. They changed the standard of care in sepsis by developing Procalcitonin (B.R.A.H.M.S. PCTTM), the diagnostic gold standard sepsis biomarker. Allecra is a biopharmaceutical company established in 2013 focussed on the development of novel treatments to combat multi drug-resistant bacterial infections. Allecra’s mission is to contribute towards the global effort to combat antibiotic resistance by developing new treatments which overcome emerging resistance mechanisms thereby saving lives of patients whose infections may otherwise may be inadequately treated. Anagenesis is a preclinical‐stage stem cell-based company focused on developing novel treatments for genetic and age-related muscle degenerative diseases with unmet medical needs. Anima Biotech is pioneering Translation Control Therapeutics, a new class of drugs that control protein translation. Our novel drug discovery platform enables for the first time the visualization and control of protein synthesis by ribosomes. This opens a new way to approach hard or undruggable targets by decreasing or increasing a target protein’s production. In the Absence of Predictive Animal Models of Central Nervous System Disorders, the challenge in CNS Drug Development is Building a De-risked (Phase II) Pipeline. As the FDA states that “a surrogate endpoint may support accelerated approval if the marker is “reasonably likely” to predict a clinical benefit”, AneuroTech (ANT)’ Solution is to deliver with Proprietary CNS Markers DERISKING SURROGATE ENDPOINTS. Thereby, ANT’ KEY OBJECTIVES are a reduction with at least 50% of both the required amount of included patients per trial and the trial failure risk leading to a 33% higher rNPV of the research asset in each phase of its development. As a Key Example, ANeuroTech developed the concept of the BUNTINX Dedicated Driving System in Treatment Resistant Depression © TM. ATRIVA focuses on repurposing existing so-called MEK-inhibitors, originally used in oncology, which are already marketed or have undergone clinical investigations. ATRIVA scientists are leading experts for influenza viruses. They found that virus replication is dependent on a specific cellular pathway, which can be effectively blocked by MEK-inhibitors. Biocrates provides ww only kits for fast track to metabolic bio marker signatures. Targeted Metabolomics kits build the cornerstone of Biocrates' portfolio. These allow for multiplexing metabolomics analyses in customers laboratory and are the only standard in quantitative metabolomic analysis. Biocrates‘ targeted metabolomics kits have proven excellent reproducibility in international ring trials. In addition to Biocrates’ range of kit products, Biocrates operates an analytical services laboratory, which can provide quantitative analysis of more than 800 metabolites. More than 800 publications prove the high acceptance of Biocrates technology. Biocrates has filed patents on the early diagnosis of various cancers. In the running M&A process Biocrates is merging with a metabolomics company focused on bio marker to diagnostics development. BioLingus is a Swiss biotech company spearheading the development of oral (sublingual) and mucosal delivery of peptides and proteins for chronic diseases and immune-therapies. It is a cutting-edge and mature solution for oral formulations, not only for peptides, but also small molecules, novel protein scaffolds, nucleotides, domain antibodies, vaccines, immunotherapies etc. Since 2015, BiomX has been discovering and developing innovative microbiome-based therapeutics to prevent and treat cancer, IBD, and skin disorders that stem from microbiome dysbiosis. The Company’s microbiome modulation platform uses cutting-edge science, research, and licensed technology created by its founders. 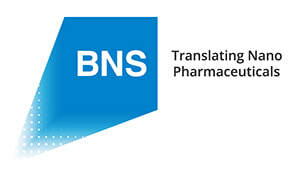 BioNanoSim Ltd., (BNS) is an upscale company manufacturing nano-based delivery systems which are uniquely challenging for pharmaceutical development especially the production of polymeric biodegradable nanoparticles (NPs). Such NPs, once drug- loaded, integrated into an appropriate medium, and administered can potentially find their target and release their load at a regulated rate, ensuring prolonged and precise treatment. Our efforts will focus on translating our academic knowledge into promising good manufacturing practice clinical-stage products for improving the performance of potent drugs, drug targeting and identifying new indications for existing drugs exploiting the benefits of nanotechnology. ​Caelus Health is an Amsterdam-based biotech company developing an entirely new class of Microbiome Therapeutics for the reduction of insulin resistance and prevention of Type 2 Diabetes (T2DM) in people with metabolic syndrome. Cellestia Biotech is a private biopharmaceutical company with strategic focus on anti-cancer drugs modulating the NOTCH signaling pathway. Our anti-cancer CB-103 is a novel, first-in-class, oral pan-NOTCH inhibitor for treatment of NOTCH dependent leukemia, lymphoma and solid tumors. Clayton Biotechnologies, Inc. is a for-profit company which facilitates the commercialization of medical discoveries made by the Clayton Foundation for Research and its supporting entities. We have over 100 granted patents and numerous published and unpublished pending patent applications. Confo Therapeutics is a drug discovery company building a unique pipeline of GPCR targeted therapeutics addressing unmet medical need. The company was founded in 2015 as a spin-off from the Vrije Universiteit Brussel and VIB and capitalizes on the CONFO® body technology developed by Prof. Jan Steyaert at VIB Structural Biology Research Center, Vrije Universiteit Brussel. Confobodies are camel single domain antibodies that stabilize distinct druggable conformers of flexible protein targets and reveal previously inaccessible structural features. Confo Therapeutics uses these Confobody-stabilized functional conformations of GPCRs as a superior starting point for drug discovery empowering the discovery of novel agonists for better therapeutic intervention. Edinburgh Molecular Imaging is an Edinburgh BioQuarter spin-out company from the University of Edinburgh, developing an Optical Molecular Imaging technology that can help diagnose and monitor of several major diseases. The company’s innovative technology revolves around the development of fluorescent imaging reagents that detect harmful processes deep inside the human body, at the bedside, in real time and at molecular resolution. The company is initially focusing on lung conditions, but the technology is applicable to a wide range of diseases. Elanix Biotechnologies AG (Frankfurt: ELN) develops and commercializes tissue regeneration products for acute wound care, dermatological and gynecological applications, and provides services in cell technologies. Cosmetic-based products are derived from animal tissue sources while tissue regeneration products for medical use are derived from human tissues. Elanix complies with appropriate legislations on cosmetics and medical applications in Switzerland and worldwide. Hookipa Biotech develops prophylactic and therapeutic vaccines for the prevention and treatments in oncology and for multiple infectious diseases. The company brings together experienced scientists, a diversified management team and a strong financial support to tackle the central challenges of cancer and immunology. Here at Hookipa our energy is sincere, we are motivated and together we can develop solutions for patients in need that don´t benefit from current therapies. IGEM Therapeutics is a UK Immuno-Oncology company developing novel IgE antibodies to treat cancer. IgE has evolved to kill tissue-dwelling multicellular parasites endowing it with several key features that make it ideal for the treatment of solid tumours. The epsilon constant region of IgE binds very tightly to its cognate receptor (FcεRI) on the surface of immune effector cells including macrophages and basophils. This interaction is up to 10,000 fold greater than the gamma chain of IgG has for its equivalent receptor As a result, IgE is able to permeate tissues more effectively than IgG and stimulate significantly greater levels of both ADCP (antibody-dependent cell-mediated phagocytosis) and ADCC (antibody-dependent cell-mediated cytotoxicity), the two main mechanisms by which immune effector cells can kill tumour cells. Pre-clinical Proof of Concept has been obtained with two different IgE antibodies (IGEM-F and IGEM-C) showing statistically significant greater inhibition of tumour growth, metastasis and prolongation of survival versus IgG comparators in a variety of rodent cancer models. The company’s lead product, IGEM-F, targets the folate receptor alpha (FR alpha) and is currently in a phase 1/2a trial to treat ovarian cancer. This is the world’s first IgE therapeutic to enter the clinic. Minoryx is a clinical stage biotech company leading the development of new therapies for X-ALD and other Inborn Errors of Metabolism, a group of rare diseases of genetic origin with a high unmet medical need. The company’s leading program, a differentiated PPAR gamma agonist (MIN-102) that has multiple CNS indications, has successfully completed a phase 1 clinical trial and is ready to move into a phase 2/3 study with adult AMN patients. Minoryx harnesses its unique mechanism of action for potential use in X-ALD, a genetic disease characterized by progressive neurological deterioration with no available pharmacological treatment. NBE-Therapeutics is a privately owned Swiss, Basel-based Biotech company that was founded in 2012 with the vision to develop next-generation ADCs improving treatment options for cancer patients. The company is financially backed by the Boehringer Ingelheim Venture Fund and additional private investors. NLS Pharma is a clinical-stage drug development company. Our R&D Focus is based on a strong scientific understanding of neurobehavioral and neurocognitive disorders and their pharmacognosia. Our patient-centered approach increases the rate for success and our successful collaboration with experts across industry, academia allows for a target specific and customized approach. Nouscom AG develops a technology platform that is based on tumor targeted oncolytic viruses and patient-specific cancer vaccines. The company offers Endovax antigenless vaccine that encodes immunomodulators, breaks tolerance, and primes/rescues cancer-specific immune response; and Exovax personalized vaccine that encodes neoantigens and boosts cancer-specific responses for sustained immunity. Its technology is based on viral vectors and oncolytic viruses. NovMetaPharma Co. Ltd. researches and develops new medicines and health supplements for metabolic diseases. The Company's main products include Cyclo-Z (a novel insuling sensitizer, New Chemical Entity & First-in-Class) for treating type 2 diabetes and obesity, whose Phase-2a was completed in US showing promising result. Cyclo-Z is expected to satisfy the unmet needs of the existing insulin sensitizers and anti-obesity medicines. Origenis is a leader in small molecule drug discovery with over 15 years of experience in the field. It is a privately owned company based in Martinsried, Germany and it runs its own patented Drug Discovery platform MOREsystem®. The unique platform combines state-of-the-art drug design, patent analysis, chemical synthesis and biological characterization performed in an integrated manner on 20.000 square feet of integrated lab space. Origenis runs research alliances as well as active in-house programs and is currently focussing on anti-inflammatory and CNS drugs. Pharmasum Therapeutics is a private, Norwegian pharmaceutical company focused on the discovery and development of novel human medicines for the treatment of brain diseases, especially neurological diseases. The Company shall develop drugs to at least Proof-of-Concept stage, but will be seeking strategic partnerships with larger pharmaceutical companies potentially for early-stage collaborations, late-stage development and marketing. Sophiris Bio Inc. is a late-stage biopharmaceutical company developing topsalysin (PRX302) for the treatment of patients with urological diseases. Topsalysin is in Phase 2 clinical development for the focal treatment of localized prostate cancer as well as Phase 3 clinical development for the treatment of lower urinary tract symptoms of benign prostatic hyperplasia (BPH). Topsalysin is a highly potent ablative agent that is selective and targeted in that it is only activated by enzymatically active PSA which is found in high concentrations in the transition zone of the prostate and in and around prostate tumor cells. More than 400 patients have received treatment with topsalysin, which continues to appear to be safe and well tolerated. Spherium Biomed S.L. develops biomedical solutions for universities and research institutions, and biotechnology and pharmaceutical companies in Spain. It offers therapeutics for mucositis induced by cancer chemoradiotherapy; pain and muscular discomfort in temporo-mandibular joint disease; psoriasis and atopic dermatitis; peripheral neuropathic pain; drug-induced acute kidney injury; actinic keratosis; lupus and graft vs host disease; amyotrophic lateral sclerosis; cognitive impairment in Alzheimer’s disease and schizophrenia; muscle atrophy and degeneration; cosmetics; and veterinary vaccines for respiratory diseases. SurgiMab is a biotech company that develops cancer-specific molecules for use in near-infrared (NIR) fluorescence-guided oncologic surgery. This technique provides surgeons with real-time feedback about the location and extent of tumors, which then increases radical resection rates and improves patient outcomes. Our lead product, SGM-101 has completed phase I/II trials in pancreatic and colorectal cancer (CRC). We demonstrated that its intravenous administration is safe and provides successful detection of primary, recurrent and metastasized tumors, leading to an altered treatment strategy in more than 30% of patients presenting with recurrent of peritoneal metastases of CRC. We are currently organizing a multi-centric pivotal Phase III trial in Europe and the US. The aim is to file for marketing authorization (USA and Europe) in 2019. TAXIS Pharmaceuticals is a privately held biopharmaceutical company dedicated to developing compounds to target the growing threat of antimicrobial resistance, including antibacterial and antiviral resistance. We are currently focused on antibiotic agents that employ novel mechanisms of action distinct from those currently in clinical use. Our team’s expertise in discovery chemistry, combined with our spirit of innovation, allows us to quickly pinpoint promising compounds that exhibit the key properties required for a clinical drug candidate. TOPADUR’s R&D platform is based on providing new therapies for wound healing indications. The R&D activities of the leading development product (TOP-N53) are focused on wound healing in diabetic patients, where wound healing is severely impaired and results often in chronic, non-healing wounds. TheraNASH is a University of Strasbourg start-up in foundation that strives to become a key player in the discovery and preclinical development of novel therapeutic strategies fibrosis and NASH, diseases with major global health impact. Liver disease is the only major cause of death still increasing each year. The absence of effective therapeutic options for NASH leaves open an untapped market which is likely worth 5 B$ to 10 B$ a year. TheraNASH offers state-of-the-art technologies for fast-track drug discovery and novel therapeutic strategies for liver fibrosis and NASH. 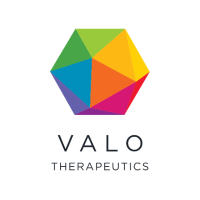 ​VALO TX is a developer of a novel cancer immunotherapy that is projected to transform the lives of millions of cancer patients. Our unique approach to immunotherapy in cancer, based on an oncolytic virus non-covalently combined with tumor-specific peptides, delivers a highly immunogenic and unique tumor vaccination platform. At Venn Therapeutics, we are focused on developing novel, first-in-class drugs that polarize tumor-resident innate immune cells to an anti-tumor phenotype and reverse the immunosuppressive microenvironment found within tumors. Powering the immune system is our focus and we welcome the opportunity to work with other companies to advance innovative cancer therapies from research labs to patient bedside. Our approach has been to form collaborations with academic researchers in order to fund the development and clinical validation of novel immunotherapies. Verndari intends to reduce the dependence on the cold chain and the health care professional. Verndari has developed and applied for patents for our MicroArray Patch (MAP) design and an automated MicroArray Manufacturing System (MAP MS). Our vaccines will be stable at room temperature and are administered with a painless skin patch. The manufacturing process is robust, inexpensive and can be manufactured on a large scale. Our MicroArray Patch is a platform for delivering existent and new vaccines. This design will substantially lower the cost of vaccines by eliminating the need for a hypodermic needle, eliminating the need for highly paid medical professionals to administer a vaccine and by eliminating dependence on the cold chain. Vibliome is developing a new family of therapeutics to treat cancers based on a novel focused library of inhibitors of validated and promising kinase targets and their escape pathways.